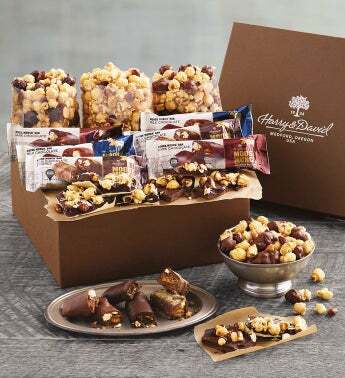 Our exclusive Moose Munch® Premium Popcorn is so popular that we've created one fabulous gift filled with lots of variations of our sublime version of caramel popcorn. 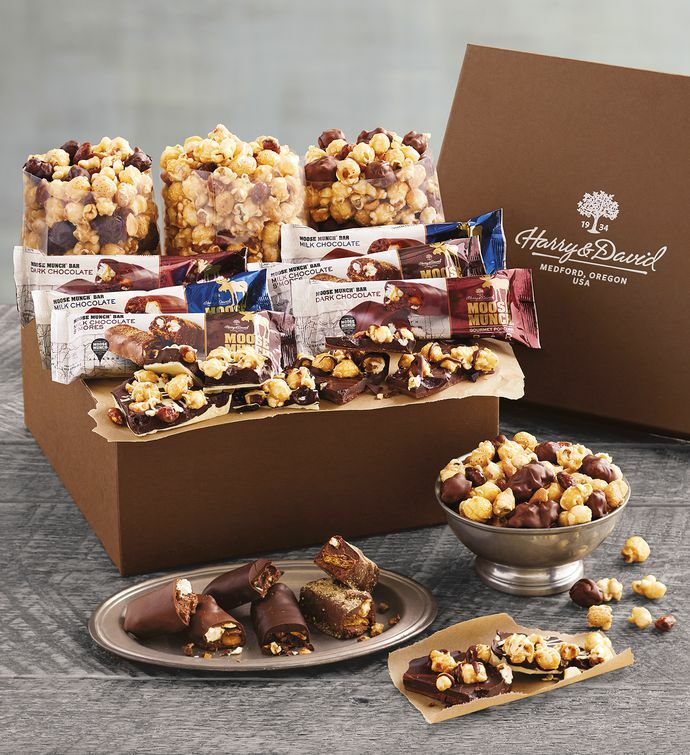 Now it's easy to share such sweet and salty delights as classic Moose Munch® Premium Popcorn, Moose Munch® Chocolate Bark, and Moose Munch® Bars. Each of these treats is handcrafted in our southern Oregon candy kitchen using our own time-tested recipe.